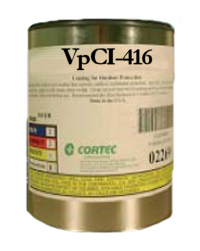 Cortec VpCI Super Penetrant offers a deep penetrating formulation that loosens frozen parts from locked in rust. Its deep penetrating capabilities allow the user to go through as much as 1/2 inch of rust in 30 minutes. 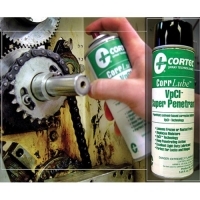 VpCI Super Penetrant can be applied by a variety of convenient methods to meet any application needs including brush, hand pump spray, aerosol, and spray gun. Package: VpCI Super Penetrant is packaged in 5 gallon (19 liter) pails,55 gallon (208 liter) metal drums, liquid totes and bulk. 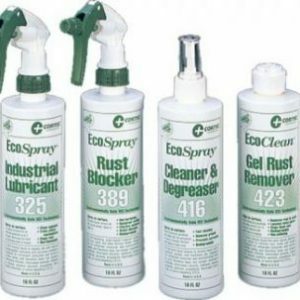 It is also available in aerosol form net weight 5.25oz (148.84g).